Well, here I am, looking at this bottle across the table from me. I’ve only had a bit of it, it’s refreshing and bright enough, but I kinda don’t want any more. And it’s not the wine’s fault. Yesterday, after a day’s work, I drove 6 hours to join my team for the Great Lake Relay, a 160km run around Lake Taupo. The same course as the Cycle Challenge I have written about earlier. I got to the accommodation at 10.30pm. Had a couple of glasses of some robust Spanish red I was persuaded to buy (nice) and a few laughs with my fellow team mates, then got to bed about 11.30pm. Woke at 12.30am, after I reckon 15mins of sleep. We were all up and out on the course by 1.30am. The race started 2am. I did my share of driving the support vehicle from transition point to transition point, while trying to stay awake. My turn to run my relay leg came up at around 8.10am. I ran 6kms (the shortest leg, I’m a cyclist not a damn runner!). Hot, uphill, hard. Got back to my bed 11am, after our van with the rest of the team relieved us halfway around the course. Slept for maybe 2 ½ hrs, before we had to get back out on the course to join the others to run over the finish line as a group at about 4.30pm. Yay. 14 ½ hrs it took us! …and now, I think I have had a bit too much to drink, and not enough sleep, and I’m feeling a bit tired and emotional and I’d like to go home to bed now, please. 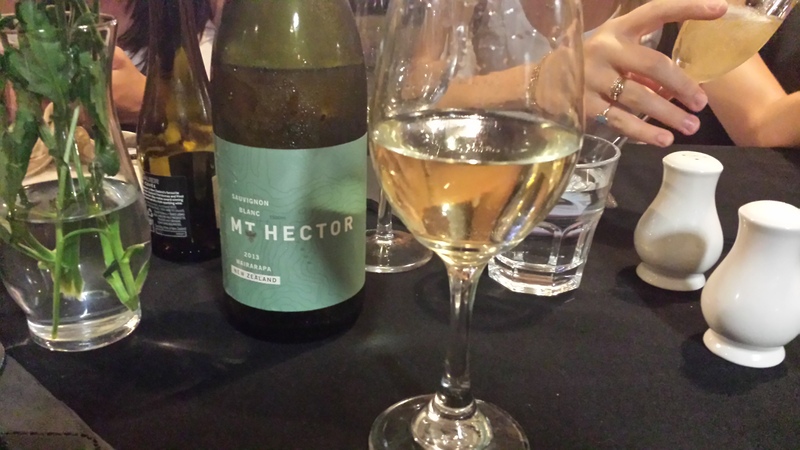 This entry was tagged 2013, Mt Hector, Sauvignon Blanc, Wairarapa. Bookmark the permalink.